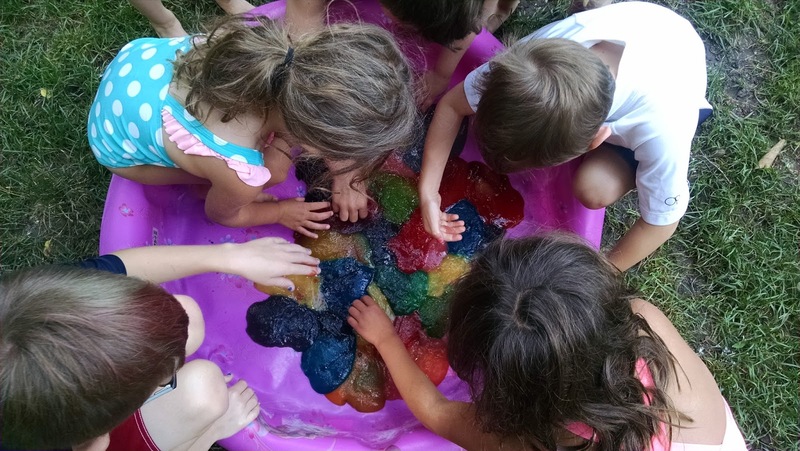 When we did our Edible Slime activity at the beginning of May, all of the kids requested a Slime Day for summer. 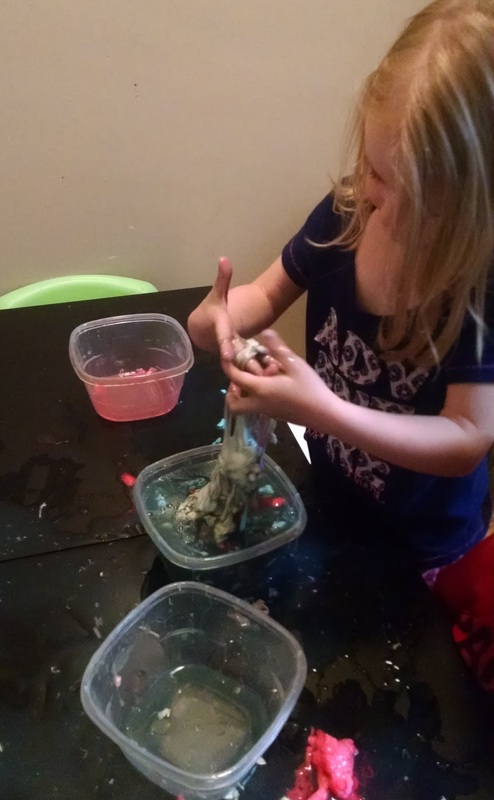 Last week, we did our Slime theme day. 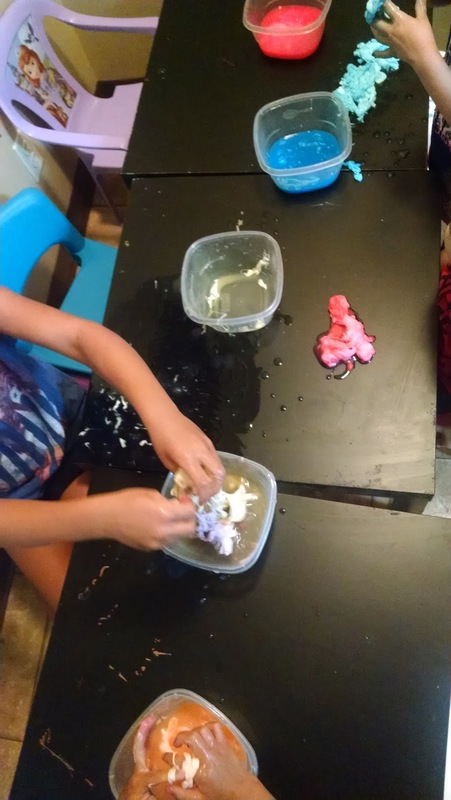 We started our morning mixing slime into the containers and then playing with them indoors (in the kitchen). It's always recommended to play with slime on tile or linoleum flooring for easy clean up (our basic slime recipe uses glue and will easily stick to carpet). 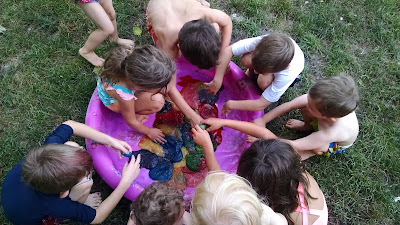 The highlight of the day was our slime pool. 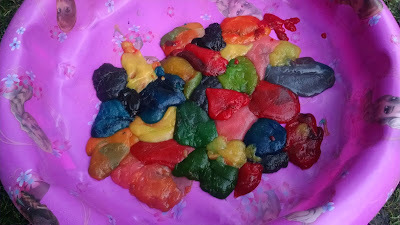 Using the edible slime recipe, I used an entire container of Metamucil to mix numerous colors of slime. Like last time, I mostly used Kool Aid packets to color the slime. 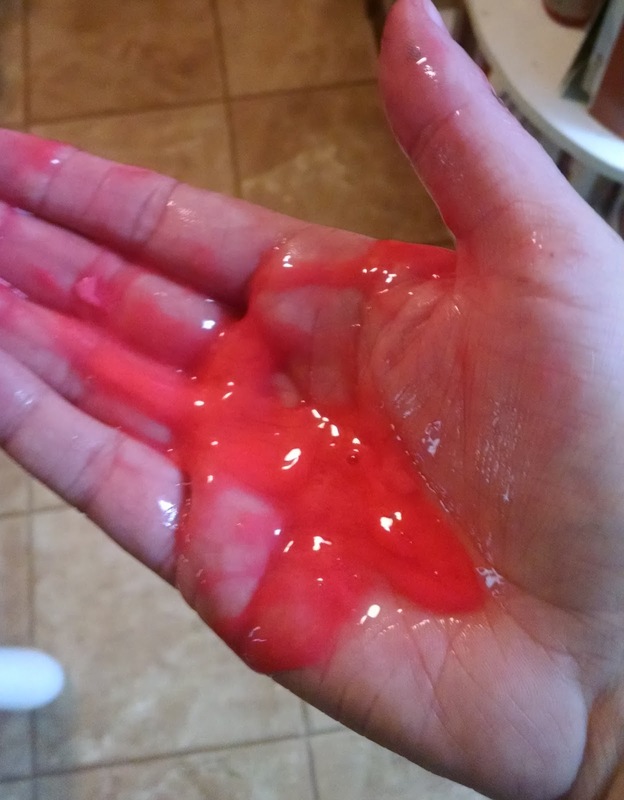 Kool Aid powder gives the slime a very bright color, plus it smells pretty darn good too. 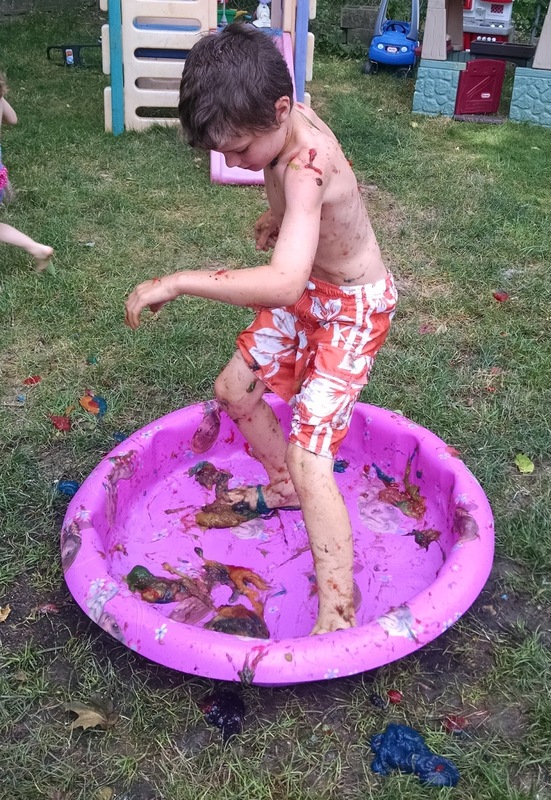 The kids slide through the slime pool, had a slime fight, and had a blast taste testing and playing catch with it. 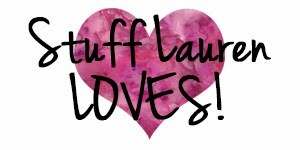 I was VERY happy to have this activity be outdoors because it saved a lot of clean up time! Also, the kids rinsed off easily in the little pool, except for their hair. That required a bit more scrubbing out (and a few kids left with slime still in their hair!). 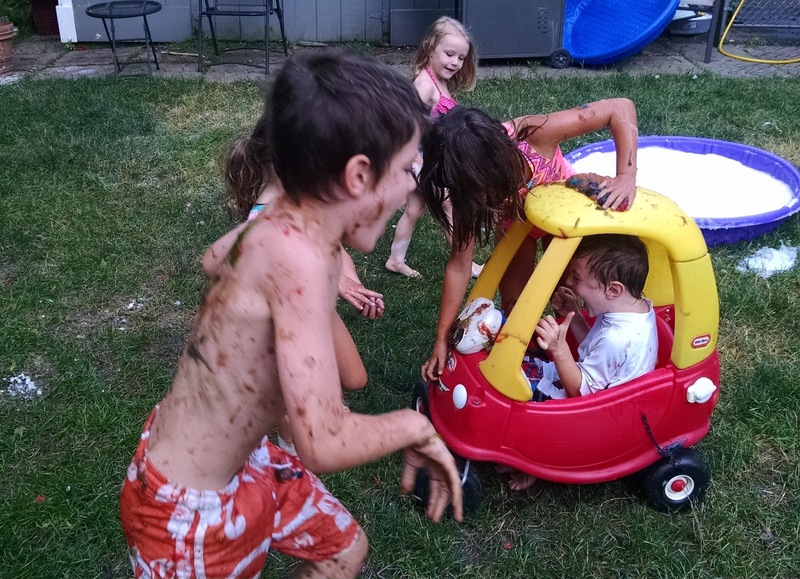 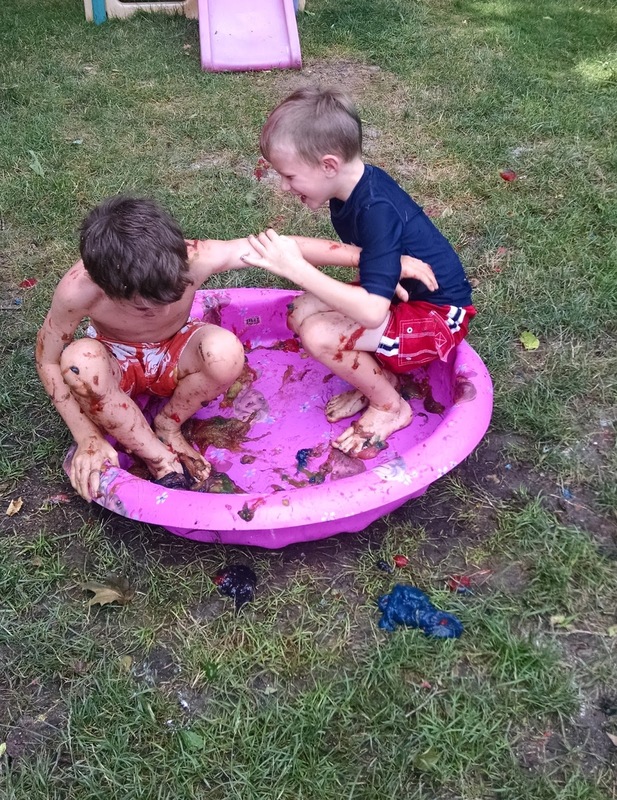 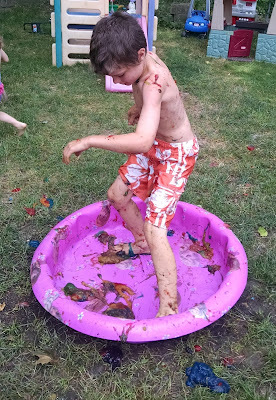 The slime fight is for sure on our To Do List for next summer!